SHINEQUIP supply heavy weight 100% Cotton fabric; specially treated with a flame retardant finish. Fully certified to the European Standard EN470 and EN531 and USA standard NFPA2112. 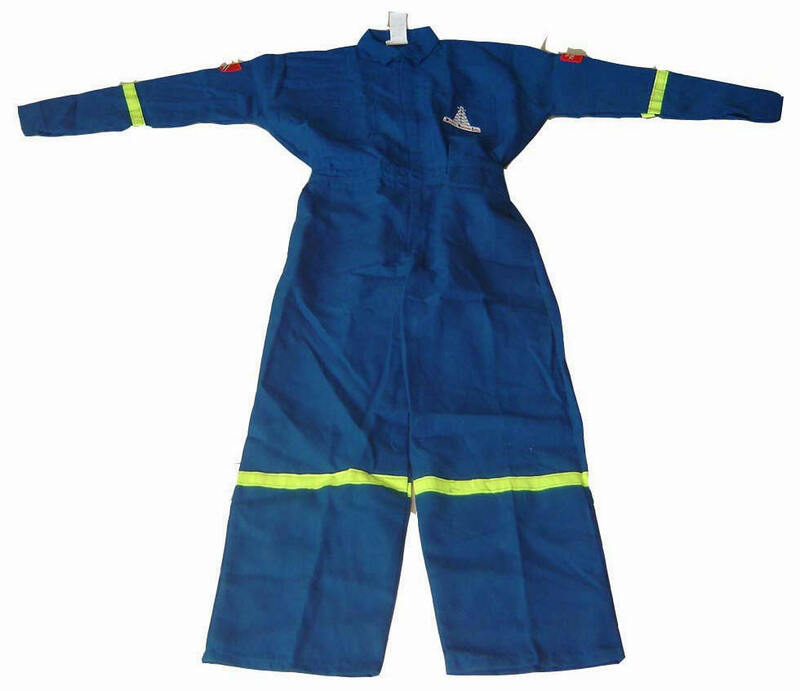 And reflective vest, non-voven disposable coveralls for medical and chemical industry protection use. NFPA 2112 Standard on Flame-Resistant Garments for Protection of Industrial Personnel Against Flash Fire. NFPA 2112 became one of the first standards to provide minimum performance criteria for flame resistant fabrics and guidelines for testing on instrumented thermal manikins. The guidelines of NFPA 2112 call for testing manikin testing per ASTM F1930; Standard Test Method for Evaluation of Flame Resistant Clothing for Protection Against Flash Fire Simulations Using an Instrumented Manikin. NFPA 2112 calls for testing to be conducted at 3 seconds with a pass/fail rate of 50% under the testing protocols set in ASTM F1930. These are the first real guidelines and criteria created by the industry to better understand and compare the protective performance of flame resistant fabrics. Typical Uses: Welding, Cutting, Grinding, Electrical on-shore and off-shore oil & gas industries, Automotive, Public Utilities and many more industries. Is the harmonised European standard for protective clothing for welding & allied processes. Garments are intended to protect the wearer against small droplets of molten metal splash from welding and cutting. Is the harmonized European standard for protective clothing for industrial workers exposed to heat (excluding fire fighters). Is the harmonized European standard for the performance requirements for limited flame spread properties.